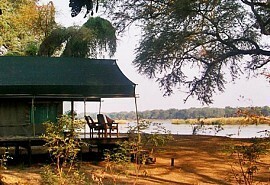 Sausage Tree Camp is located on the banks of the magnificent Zambezi River in the heart of the Lower Zambezi National Park in Zambia. 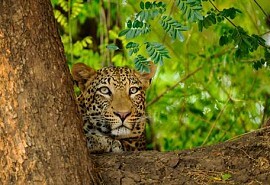 Sausage Tree Camp is an exclusive safari camp offering superb guiding and some of the best game viewing in Africa. 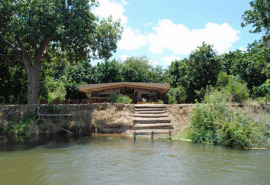 Sausage Tree Camp offers world renowned Tiger fishing as well as day and night game drives. All game activities will be lead by experienced and professional guides. Accommodation at Sausage Tree Camp is luxurious and the cuisine is simply superb; guests can enjoy romantic candlelight dinners under the stars. Sausage Tree Camp offers luxury and charm combined with a magnificent location along the Zambezi River and fantastic game viewing opportunities.